No, I don’t have my Juki TL-2000Qi or Grace frame yet. For those not in the know, I ordered the Grace Start-Right frame from KathyQuilts.com but The Grace Company does not ship this particular frame to Canada (although they will ship it across the U.S.). So, I am getting the Gracie Queen frame instead. the Gracie queen frame has wooden sides and aluminium bars which are lighter and less expensive to ship. The Gracie Queen is height adjustable whereas the Start-Right is not. There seems to be more flexibility with the Gracie Queen than the Start-Right. I was dubious about the wood warping in our basement but Lynn assured me that this wouldn’t happen. Last week I discovered Sharon Schamber, an award winning quilter and big proponent of Juki straight stitch domestic machines. She has a video about side leaders so that the quilt bed does not interfere with the side clamps when quilting on a domestic machine. This is one of the first things I’m going to make for my new set-up. I’m also going to take the velcro route for attaching quilt backs (same video) for a smoother quilting experience and quicker loading. This afternoon I received my first Flickr “Monthly Fabric Swap Group” package and I couldn’t be more thrilled, I love the fabrics AND the chocolate!! The balance between dark chocolate, sweet and salty is PERFECT, OMG, delicious!! 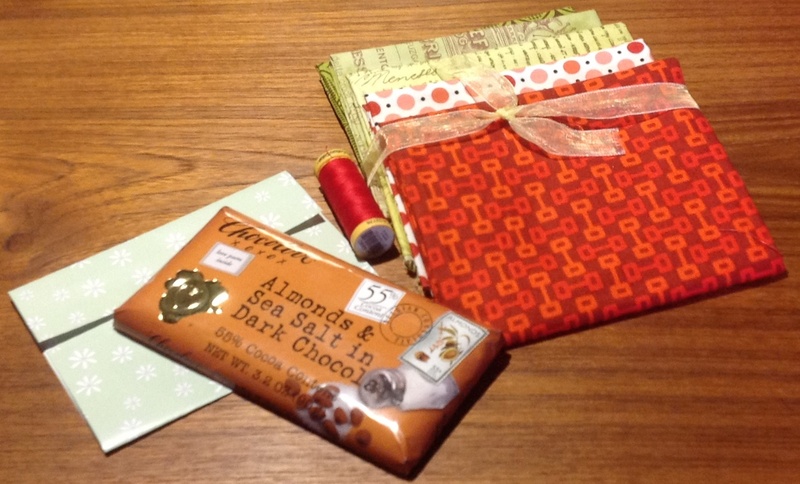 Thank you so much Mama Missa, I love the fabrics, chocolate AND thread! I’ve been struggling with green lately, I have a love/hate relationship with this colour, but I really love these prints and I’m determined to make a green + ? quilt with them. I hope you were as happy with my package as I am with yours! 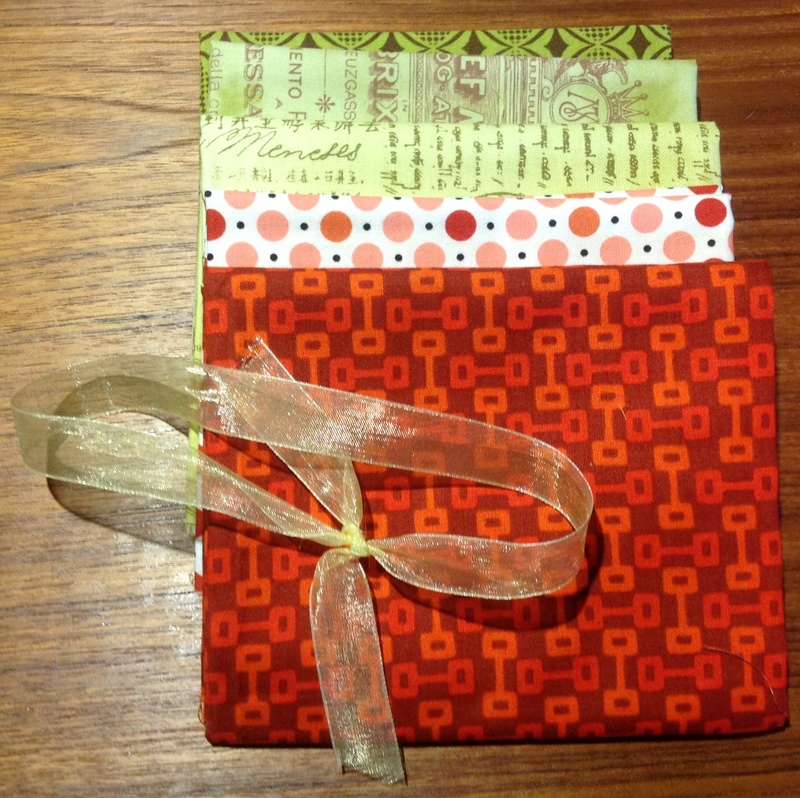 This entry was posted in Fabric Swap, Juki, Shortarm Quilting and tagged Juki TL-2000Qi by Tabatha. Bookmark the permalink.